British theatre has changed radically during the past 20 years, mostly for the better. Curiously one of the things that has not really changed is mainstream criticism. Mainstream critics such as myself still write about theatre in a tradition that stretches back to the 19th century and beyond. Obviously, I’m not about to fashioned my review of the Sherman’s Cherry Orchard in the form of a haiku; my editor would not be best pleased. For most mainstream critics their reference point – and critical hero – would still be Kenneth Tynan rather than Megan Vaughan. But if theatre has changed, then perhaps the way that it is written about and discussed should change too. It’s not just a question of form, it’s about who has the platforms and how they use them (or rather how editors allow them to use them). I’ve said it before, but I feel the need to say it again: what is reviewed is what is valued in the culture. This week Venus in Fur will have been covered in every broadsheet newspaper, often with an accompanying picture of Natalie Dormer wearing very little. But what about the Threepenny Opera in Bolton or the Fierce Festival in Birmingham? Critical coverage is as much a diversity issue for British theatre as who gets cast in which role. As whose stories are told on stage and what those stories are. Critics curate culture and they can champion and identify talent and trends. But what happens if theatremakers are using vocabularies and forms unfamiliar to critics? Or the stories being told are less familiar and written by those from backgrounds very different from those of the critics discussing the work? What if your only experience of black and Asian life comes from what you see on stage? These questions are crucial. Do you review a piece of work made by a learning disabled company about their own experiences in the same way you review the RSC’s latest highly resourced revival of a play by that tried and tested playwright called William Shakespeare? I don’t think we discuss these issues enough, often hiding behind the idea that as critics we simply respond to what we see. But what we see is always through the lens of our own backgrounds and education and upbringing. Sometimes that lens can be distorting preventing us from seeing clearly and on occasion turning critics from midwives into gatekeepers. Particularly when judgements such as ‘quality’ and ‘excellence’ are brought into play. So how do we widen that critical lens? That was the subject of a debate at the National Theatre last Thursday, which was organised by Act for Change with The Stage. The question was posed: who does and who doesn’t get to write and talk about theatre and the arts at the moment? It arrived at a time when the economic woes of the mainstream media mean that coverage of all but the most-high profile London-centric shows is increasingly under threat. Criticism is shrinking and while the howls of outrage that accompany the squeeze are often about loss of personal privilege, a lack of a strong critical culture is detrimental to theatre. During the discussion, panellist Matthew Xia, associate artistic director at Manchester Royal Exchange, pointed out that a great review in a broadsheet newspaper can sell 500 tickets during a run. But it’s about more than that, a review can have currency with funders and programmers. A strong critical culture can help nudge the art-form forwards. So what to do? How do we both broaden the lens and ensure that criticism remains current and reaches all parts of theatre and not just those shows close to London telling stories and using forms that are already familiar? Bloggers can plug some of the gaps. 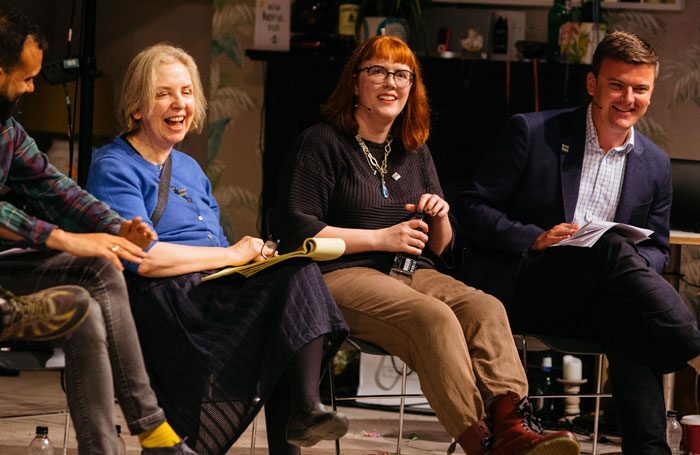 But while platforms may be readily available, and some are being used brilliantly by a new generation of theatrewriters, the spaces are often taken up by those who come from similar backgrounds to mainstream critics. In part because many bloggers are writing for free. Not surprisingly many of the reviews operate within the same structures and traditions of mainstream criticism rather than finding new ways to engage in dialogue about theatre. We all know that those making theatre are under huge financial pressure and that theatres and arts institutions face many challenges. But one of the most unrecognised issues facing the arts is how criticism – both in the mainstream media and by bloggers – can be diversified and supported by editors, writers and the theatre industry coming together to find ways to create a critical culture that is fit for purpose in a 21st century arts landscape. To neglect to do so would be short-sighted because a thriving critical culture and a thriving theatre culture go hand in hand.